Lebanon will resume processing residency applications for staff of the United Nations refugee agency when it and other U.N. bodies submit a “clear” plan to return Syrian refugees, a senior official said on Wednesday. Foreign Minister Gebran Bassil announced a freeze on residency visa applications for the U.N. High Commissioner for Refugees (UNHCR) earlier this month, accusing it of hindering refugee returns. UNHCR has denied that, saying it supports return when it is safe for refugees, and major international donors to Lebanon have voiced dismay at what they have called “false accusations” directed at the agency. 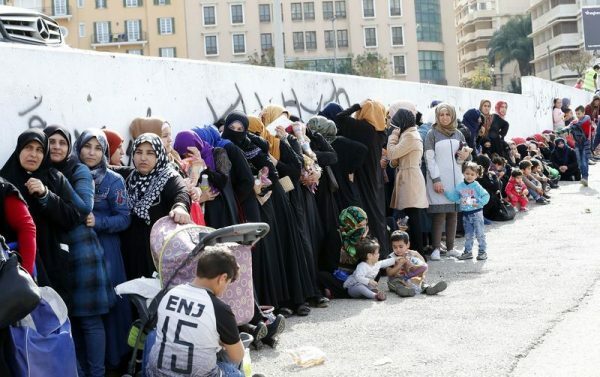 Hadi Hachem, Lebanon’s Foreign Ministry chief of cabinet, told Reuters Lebanon wanted to sit down with the UNHCR, U.N. agencies and relevant members of the international community to come up with a “clear, gradual plan for the return”. “When you will see this meeting happening, and the return plan is on the right track, I think Mr Bassil will amend his decision and visas will come back,” he added. As Syria’s army and allied forces retake more territory, officials have stepped up calls for some of the more than a million refugees registered in Lebanon to go back to parts of Syria where violence has died down. Last week Bassil met UNHCR High Commissioner Filippo Grandi, saying the meeting was positive but that he was waiting for a “more practical” policy from it on returns. Hachem said a planned return of some refugees from the town of Arsal this week, organized by the Lebanese and Syrian authorities, would encourage others to go home by showing them it was safe. “For us, this group of people will be like a pilot project,” he said.